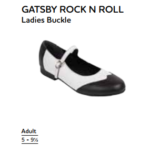 Gatsby Rock n Roll Ladies Laces Resin Sole Shoes. The leather used is 100% A grade leather. Should to be noted though that skin is a natural product and small imperfections may occur from time to time. 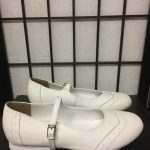 The sole available is a resin rubber or leather suede.